Signup Form: Embed signup forms on your website to encourage visitors to subscribe to your newsletter. 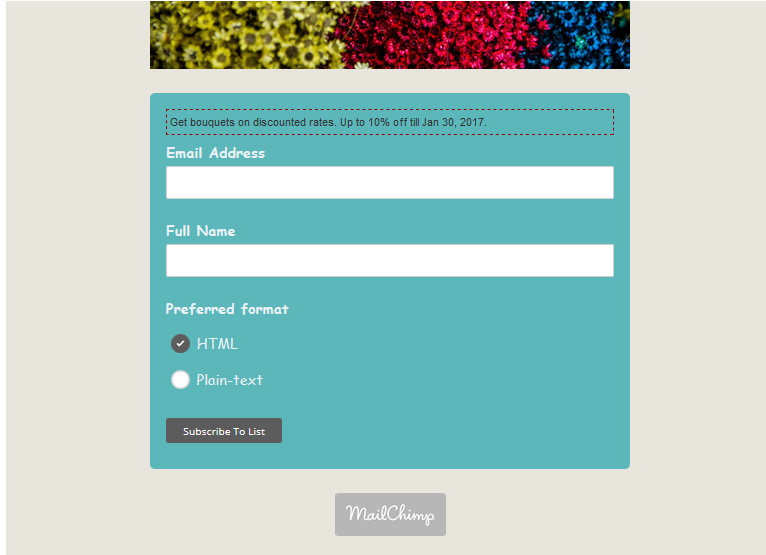 Subscriber Pop-up Form: The code was generated by using MailChimp and later inserted into the MailChimp Subscriber Popup widget. Newsletter Template: This template was created by using the Basic option.